Yikes! 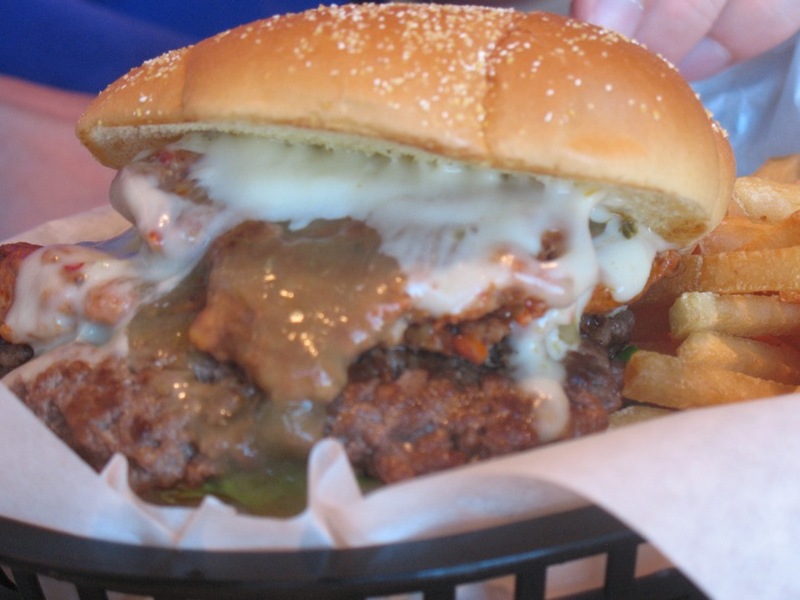 It appears I have not been blogging about burgers like I said I would. Not really sure anyone is reading this blog, but hey, it’s still fun to do. My next burger stop was en route to Oakland from Portland. Noah and I stopped for lunch at Jasper’s Cafe in Medford. My research said this was the best burger in the area, so it seemed like a natural spot. As per usual on this road trip, Noah and I opted to split two burgers, which we ordered at the front counter. 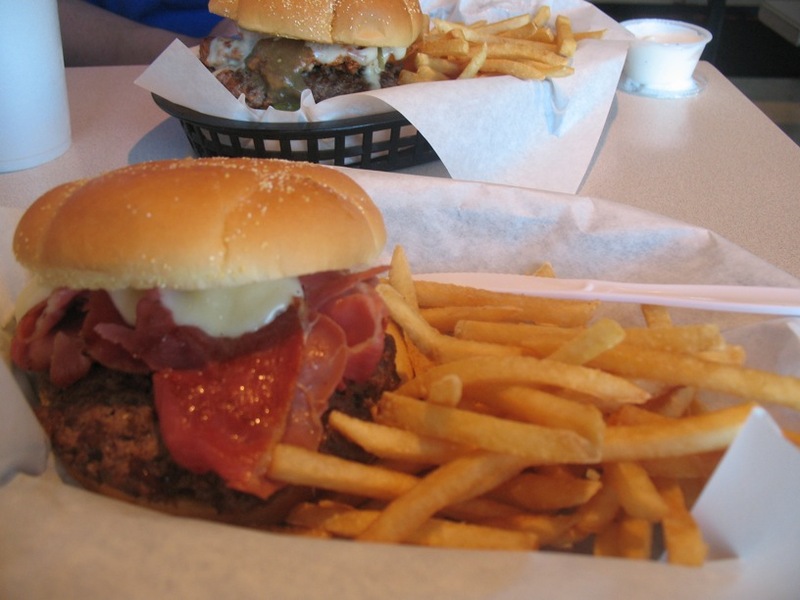 My choice was the Tuscany burger – prosciutto, Toma cheese, and granny smith slices. Noah went for the Texas Ranger – chorizo, guacamole ranch, salsa, and pepper jack. Each burger comes with fries and a drink for $9. Not a bad deal, as the portions are plentiful. First up, the prosciutto burger. Definitely my favorite of the two. I thought the green apple might be an overwhelming taste to the beef, but it felt like the prosciutto served to minimize this issue. Quite frankly, the combination was delicious. There wasn’t too much apple, and there wasn’t too little prosciutto. I realize now I failed to get any apple in the picture, but it was very thinly sliced, and actually worked quite nicely. The chorizo burger, in my opinion, was not as much a success. Granted, the chorizo was quite tasty, but it completely overpowered everything else (except maybe the pepper jack cheese). As a customer, I want my money’s worth of topping, but it was just too powerful a sausage to work in this case. It felt like I had ordered just chorizo, which isn’t something I’d do. I think that with a smaller portion of the sausage, the burger would’ve been a success. At least it was good chorizo! The fries were piping hot, and certainly up to my standards. Noah also got a milkshake. I forget what flavor it was, but he enjoyed it. I think it’s safe to say this will be a good pit stop if I find myself on the endless I5 drive from Oakland to Portland anytime soon. Definitely a great lunch stop.